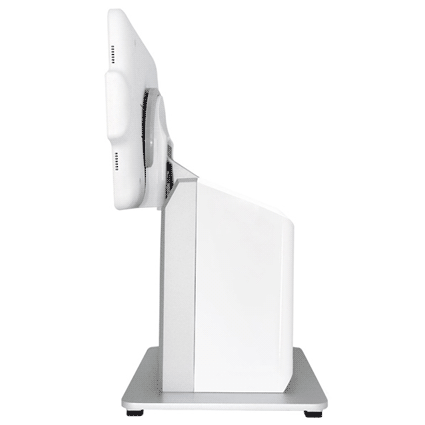 The iSAPPOS stand is a point of sale iPad stand for iPad Air 2 and iPad Pro. Available in black or white to match your point of sale station. 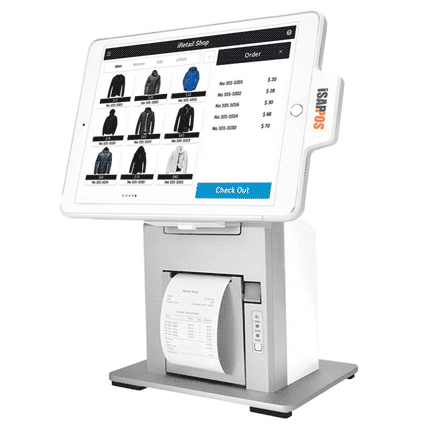 The iSAPPOS stand is available in three versions: Model A, with manual lock; Model B, with Touch ID lock and Bluetooth; and Model C, with Touch ID lock, Bluetooth, and integrated receipt printer. 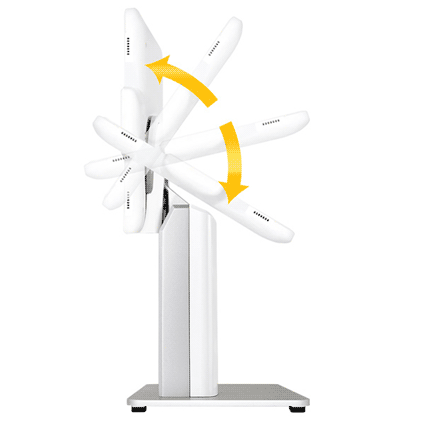 With a pivoting design, the iSAPPOS stand easily flips for customer display. When unlocked, the iPad detaches from the stand but remains in the jacket for extra protection. Jacket features a built-in hand strap. 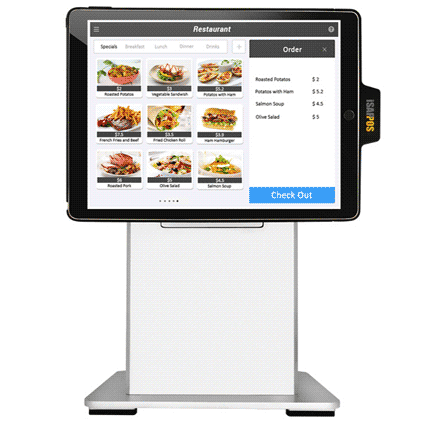 The POS-X iSAPPOS iPad stand is a versatile, sleek stand to convert your iPad into a point of sale system.